The peculiar flavor of fennel is due to the substantial presence of anethole, an essence and it is then used for the preparation of liqueurs such as sambuca, pastis and anisette. This vegetable is very low-calorie, about 31 calories per pound, is low in fat but rich in fiber, so it is a food particularly suitable for those who hold to their own line. The fennel is very rich in minerals, especially potassium, calcium and phosphorus, which are useful for strong bones and to prevent cramping and fatigue. It contains many vitamins, especially vitamin A, essential to protect and maintain a healthy skin and regulate the functioning of the retina and eyesight, vitamin B, which is essential for the proper functioning of the nervous system and the cardiovascular system, and the vitamin C, a substance very important for the prevention of many diseases because it strengthens the immune system and acts as an effective antioxidant. The high content of phytoestrogens fennel makes an excellent natural balancing the levels of female hormones, which makes it particularly useful in stimulating the production of milk in females struggling with breastfeeding, reduce noise preceding the menstrual cycle and in relieve the symptoms of menopause. The liver benefits from the consumption of fennel, which are valid for detoxifying and contributing to the improvement of liver function. 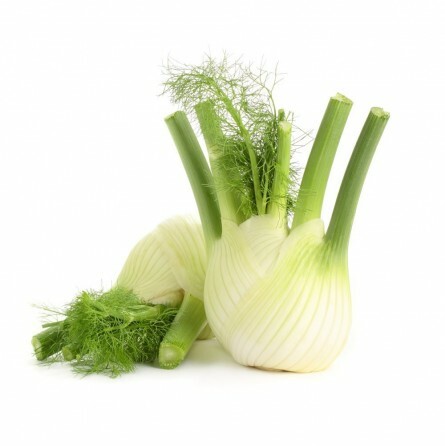 Furthermore, the fennel has diuretic effects, favoring the production of urine and, consequently, the elimination of toxins from the body, and is indicated in case of loss of appetite, given that it stimulates the appetite and gastric secretion through the action of its aromatic principles. As a medicinal herb, fennel is a good remedy for digestive problems, as it contrasts the fermentation processes that occur in the large intestine and helps to eliminate air that accumulates in the stomach and intestines, thereby soothing even the pain caused by colic in infants. Precisely because of its beneficial properties against these digestive, herbal teas, decoctions and infusions prepared from the seeds of this vegetable can be very useful for those who have problems with abdominal bloating and flatulence. Known since the antiquity for its aromatic properties, its cultivation seems to return to the 16th Century. The fennel is a typical Mediterranean plant, which were already appreciated in Greece and that was spread in all the continental Europe by the Romans. The fennel is a Mediterranean herbaceous plant from the family of Apiaceae (Umbelliferae). The varieties of wild fennel distinguish from the varieties of horticultural production (sweet). The wild fennel is a spontaneous, perennial plant with a branched trunk, it can reach 2 m height. It owns leaves that reminds of hay (from which derives the name foeniculum), of a green colouring and in summer it produces little yellow flowers. The fruits (achenes), at first green and then greyish . From the wild fennel can be obtained the buds, the leaves, the flowers and the fruits (improperly called “seeds”). The cultivated fennel (or sweet) is an annual or biennial plant with a tap-root. It reaches 60-80 cm height. The big sheath of white heart developed at the base is consumed. ... The common distinction between female fennel and male fennel is purely formal? The first has a round shape and the second a lengthened one. ... Pliny narrates that serpents scrape against the fennel plant, after changing skin, to re-gain sight, and claims that, in relation to this story, the fennel is good for the cure of sight? ... The affinity with serpents, according to the popular ancient believes, gave the fennel the virtue of being a strong antidote against the bite of poisonous reptiles?